Need a little extra storage inside your home? This dual wire basket wall hanging will allow you to use the empty space on your wall to hold small items! Use it in the kitchen for holding fruit, in an entryway for organising accessories or anywhere else! The dual baskets can also be filled with liners and used as planters. 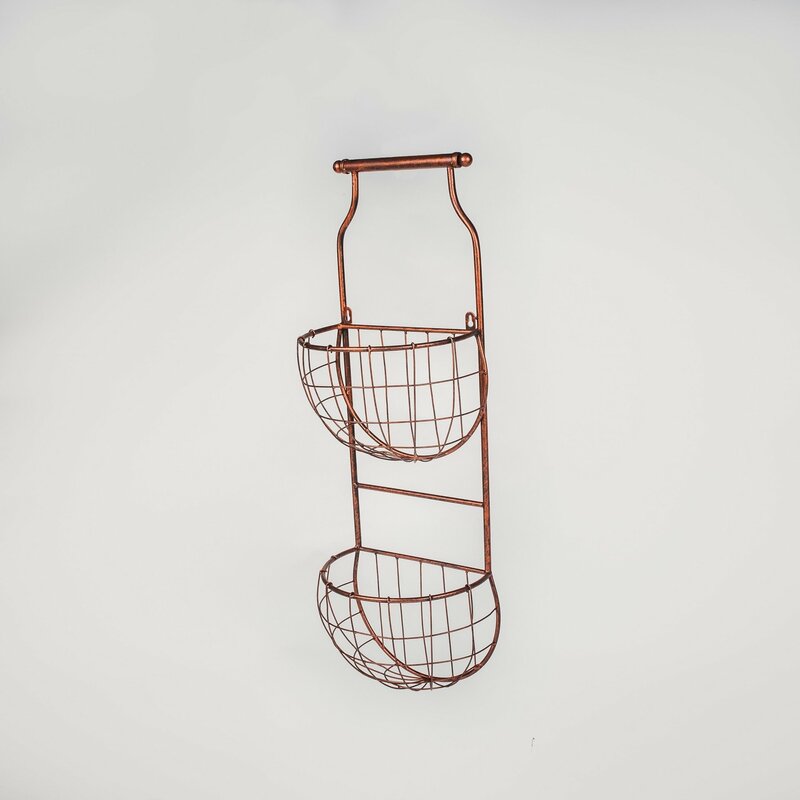 The Two Tier Pot Wall Stand has two baskets for hanging plants. There are rings on the back for hooks or screwing to the wall. The wall decoration is a copper colour.